Over a year after first announcing online heists for GTA 5, Rockstar Games finally shared some details. They've released a trailer and screenshots along with release date information for the long-delayed feature. Let's start with the good news. 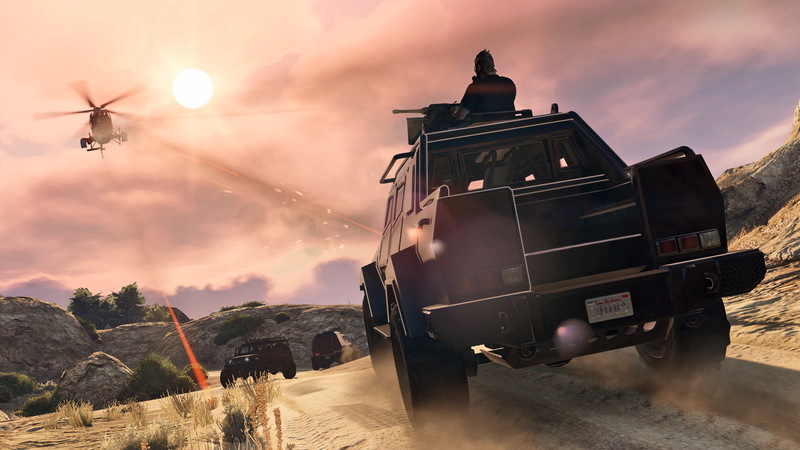 As expected, GTA 5's online heists let players team up on elaborate missions throughout Los Santos and Blaine County. 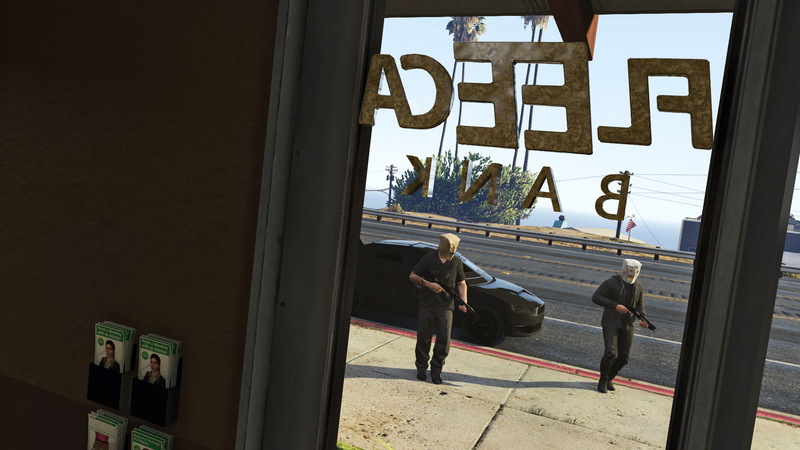 They'll have new weapons, vehicles, and clothing at their disposal during these heists. 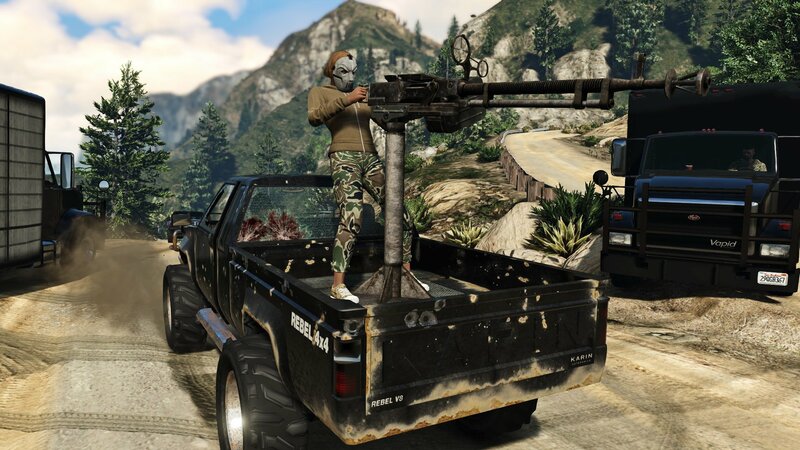 "These will require tight communication and coordination, with players taking on specified roles at each point to accomplish multiple objectives on the way to each Heist’s epic finale," Rockstar said on their Newswire. 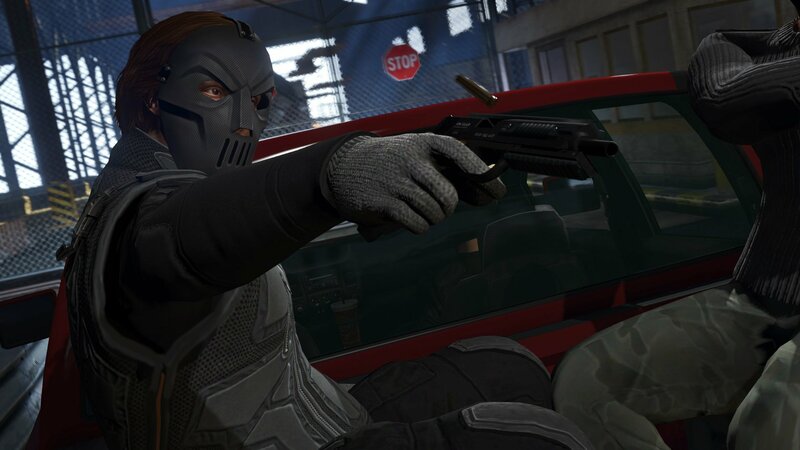 Some of the heists will require stealth. 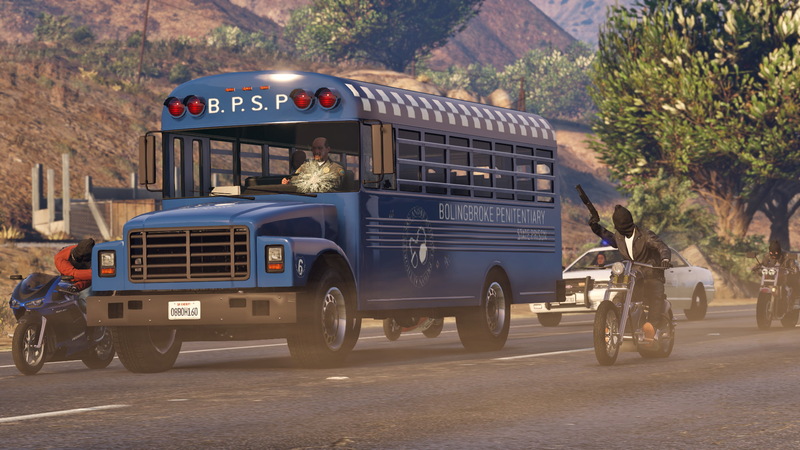 In the prisoner rescue heist, two players will need to find the schedule for the transfer bus by sneaking into a police department. Another mission seen in the trailer shows players dressed in commando garb infiltrating a heavily-guarded facility so they can steal sensitive data. The last bit of good news for heists came at the end of the trailer. 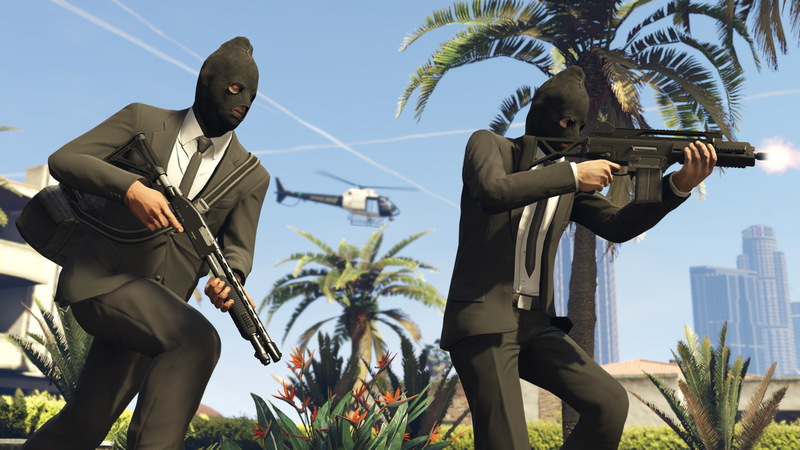 It revealed that heists won't be exclusive to the newer PS4, Xbox One and PC versions. PS3 and Xbox 360 owners will get them too. 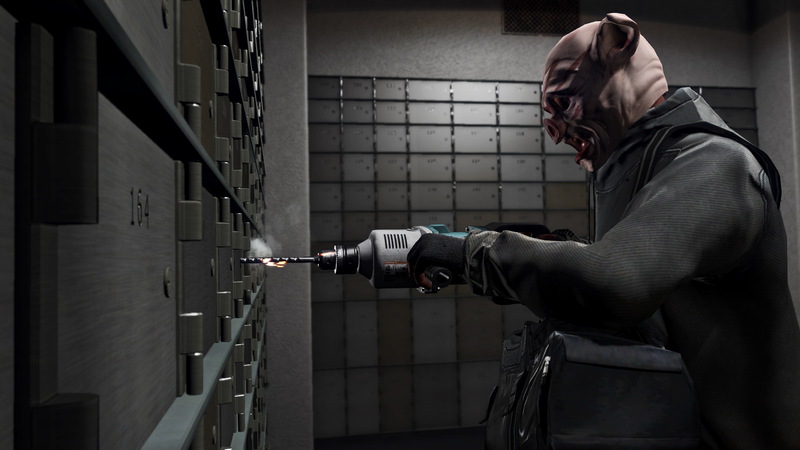 Unfortunately, GTA 5 players won't get the online heists this year. Rockstar said today that the feature will come "early in 2015." The fact that they're being vague suggests it's not going to drop alongside the PC version in January. We may be waiting weeks or months longer than that for heists. The other thing that might ruffle feathers about the heists is the player count. 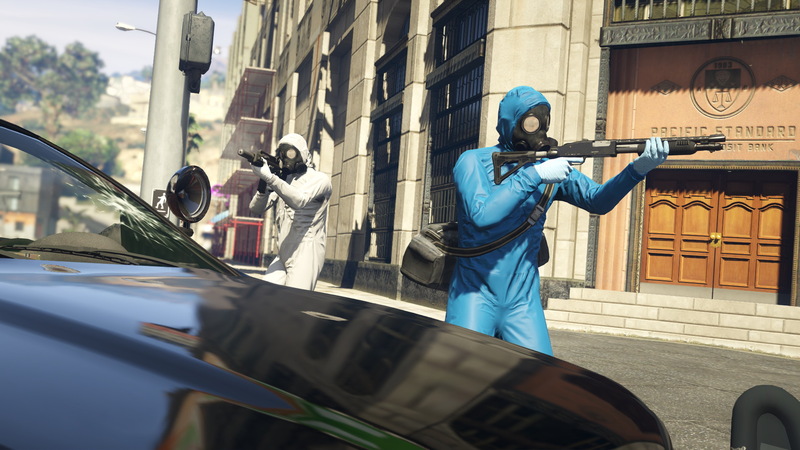 Rockstar confirmed today that heists are a four-player mode. That may fall short of some players' high expectations for the mode. Alleged leaks had suggested that some heists would have two opposing teams of cops and criminals. 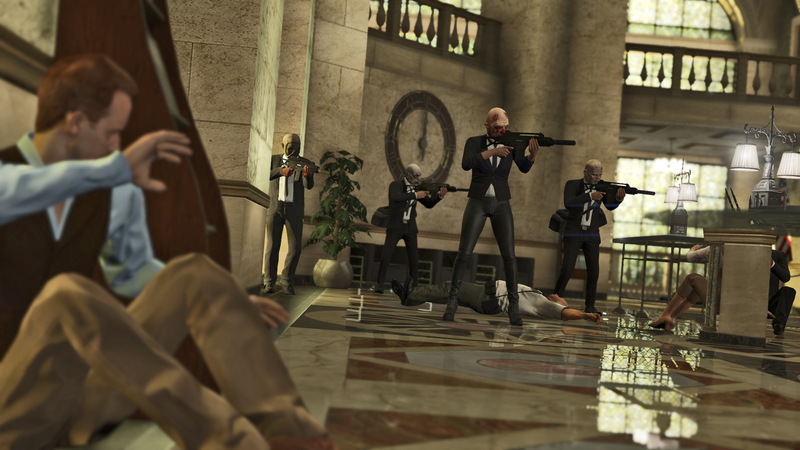 There's always the possibility that Rockstar could expand heists over time to include player-versus-player elements. However, the feature is currently intended as a focused co-op experience.